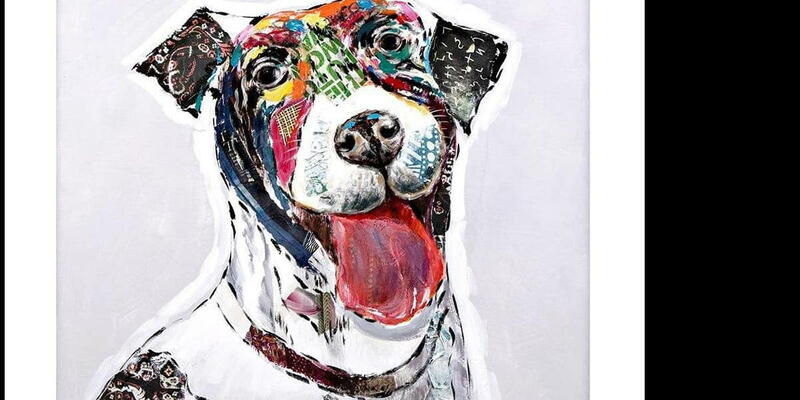 American Home Furniture and Mattress on Menaul and Carlisle in Albuquerque has partnered with Lap Dog Rescue of New Mexico and is generously raffling one pet friendly sofa and some very cool artwork. 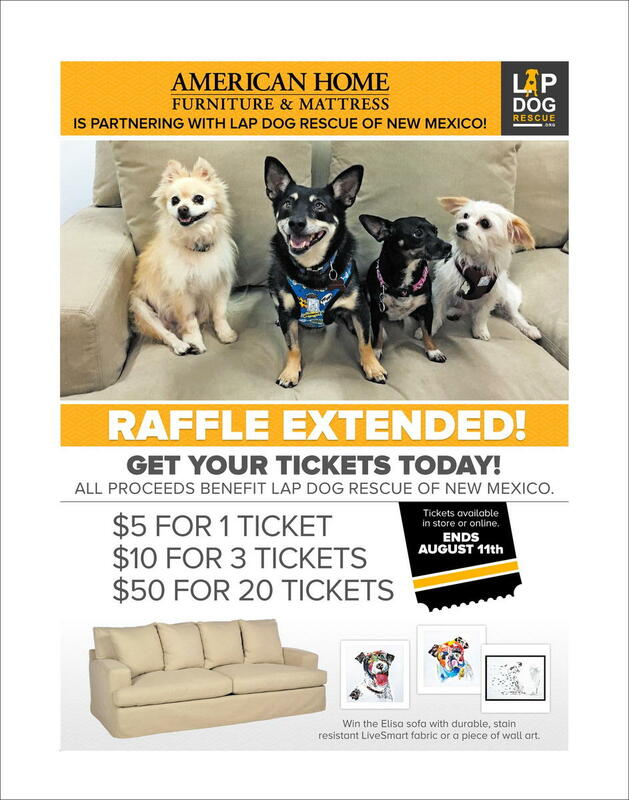 This raffle is available only to New Mexico residents due to the type of product being raffeled. 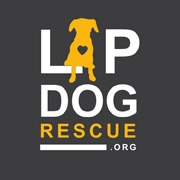 To participate, simply go to American Home Furniture and Mattress and purchase your raffle tickets OR go to our Donate icon on this website. Be sure to type in “raffle” in the note notes section and include your email address and phone number. Raffle ends August 11 and the drawing will be on August 12. Don’t miss out!